You may now prepay or pay your bill online. Click here. Miscellaneous updates throughout site. Updated vaccination pricing. Welcome to the internet home of the Park Hill Pet Clinic in Little Rock, Arkansas! Continue browsing around to see whats new at our clinic, the latest in pet health news, and information about our clinic. Pet Hill Pet Clinic is a total-care veterinary facility dedicated exclusively to small animal health care, treatment and disease prevention. Our client form is now available to print and fill out prior to your visit by clicking here. Heartworm infection is transmitted by mosquitoes. In warmer areas of the country, mainly the south, the risk of heartworm infection is year round. The prevalence of this deadly disease has increased steadily since it was first identified, and it now affects pets in all 50 states. Click here to continue reading this article. Trifexis is a monthly chewable tablet for dogs that kills fleas, prevents heartworm disease and treats and controls adult hookworm, roundworm and whipworm infections. New flavored chew for dogs that kills fleas and ticks for up to 12 full weeks! 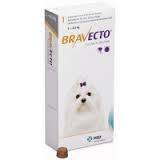 100% efficacy against fleas within 24 hours for 12 weeks. Now available at our clinic. Introducing Advantage Multi for cats; A monthly topical flea, roundworm, and ear mite treatment plus heartworm preventative for cats and kittens 8 weeks and older. The doses can be purchased individually or in a 6 dose package.